Have you ever wanted to spin from rolags? This type of fiber preparation is well suited for production-style handspinning, particularly the long-draw woolen method. 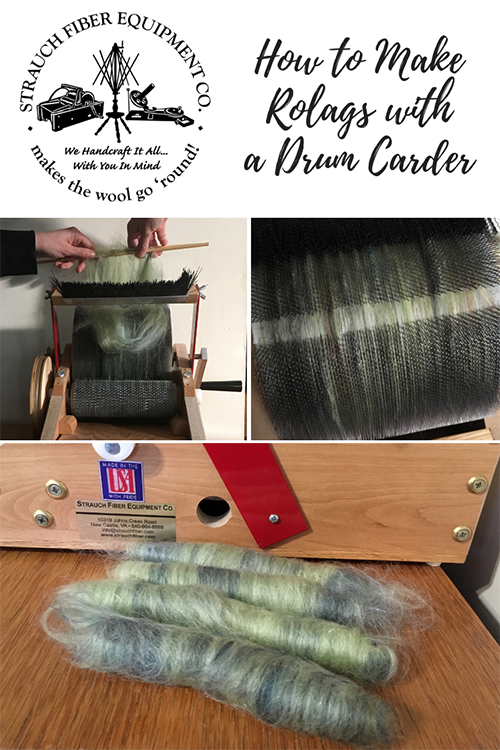 Today, we’ll show you how to turn prepared fibers into beautiful rolags with a Strauch drum carder! 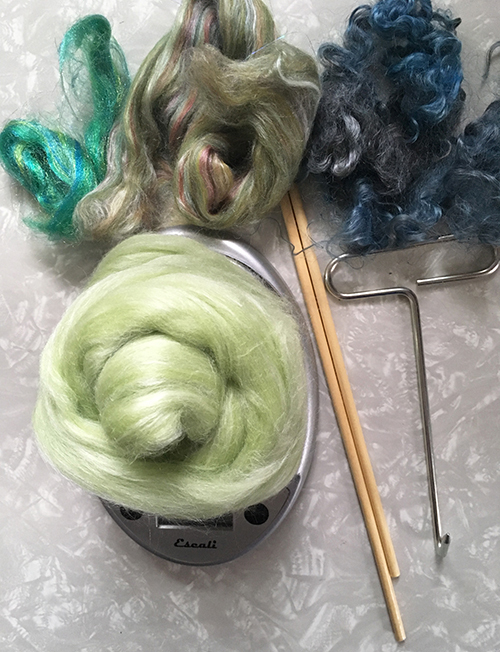 1 oz mixed fibers (makes 2 rolags): make sure you have approx. 1/2 oz of a “main” fiber for your base, and then the rest of your fiber mix can add up to 1/2 oz. 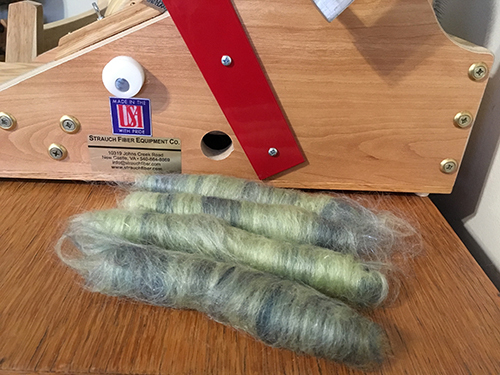 NOTE: You will want to tease out all of your fibers before feeding them into your drum carder. Begin with a layer of your base fiber – you’ll want to use just enough to give good coverage on your drum carder, while still leaving room for all of your accent colors and add-ins. Here’s where things get fun! Begin adding the remaining fibers at random for a painterly approach, or you can be more methodical with your color placement if you wish to have more “repeatable” results. Either way, work through all of your fibers, making sure to save add-ins for the final layer (this will ensure that they don’t get stuck in the teeth of your drum carder). Once you have processed all of your fiber, use the knuckle-saving batt-picker to begin removing the fiber from your fiber drum. Once you have worked all the way across the drum, STOP! 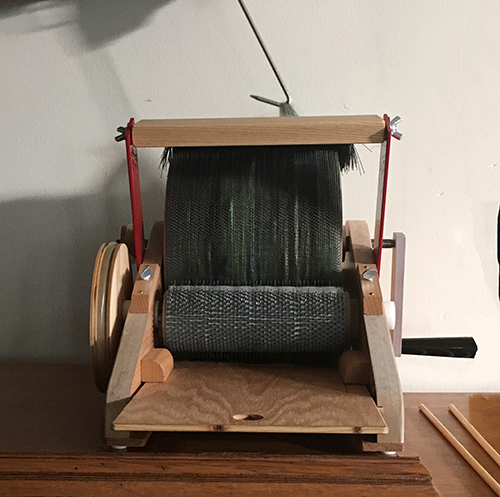 Now it’s time to get out both of your dowel rods, which you will use to roll your fiber into rolags. 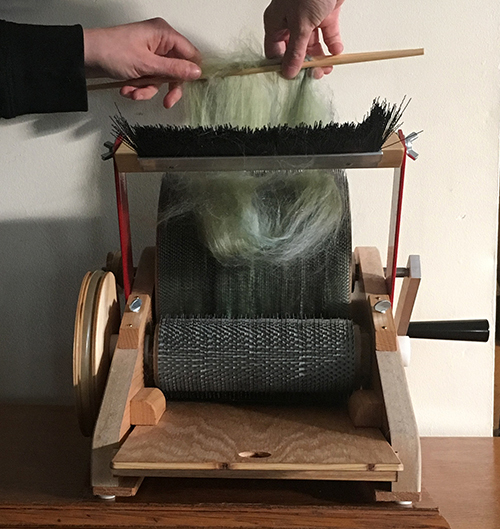 Begin by placing one dowel on either side of the fiber like so, and draft the fiber up just a tiny bit by pressing the dowels together and pulling the fibers towards you, away from the drum carder. 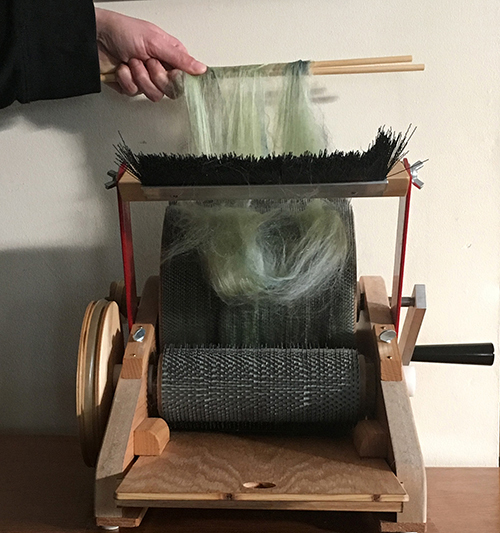 Begin rolling the fibers around the dowel rods, drafting occasionally as you work your way around the drum carder. 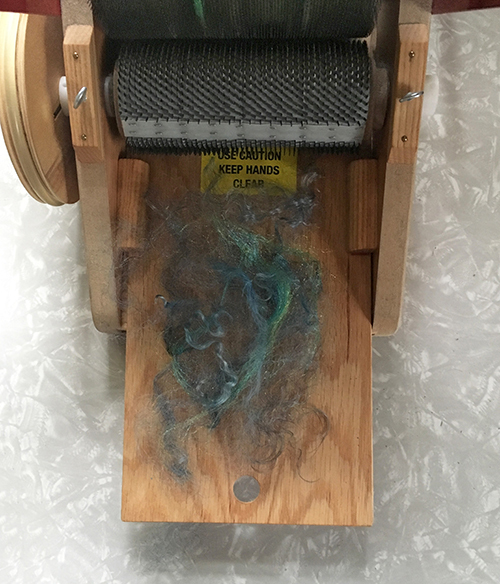 Once you have removed approximately half of the fiber from the drum, pull dowels away from drum carder to break fiber. Remove rolag by sliding one dowel rod out, and then the other one will come free easily. 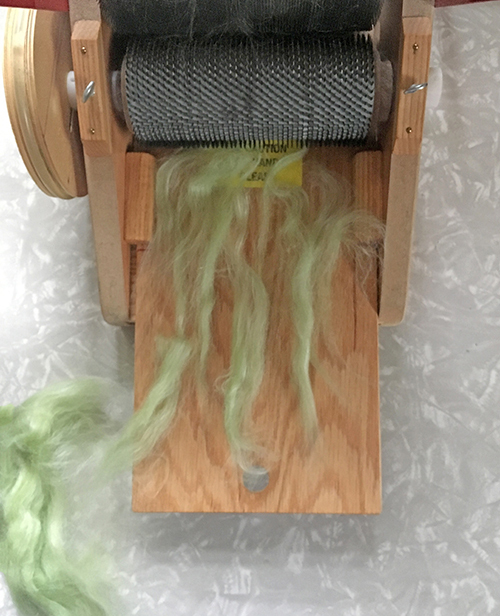 Repeat this process to remove the remaining fiber from the drum carder. Ta-da! You now have beautiful rolags to spin! We’d love to see what you’re making with Strauch products – share them with us on Instagram and don’t forget to tag your post with #strauchfiber! This entry was posted in Carding, Tutorial and tagged drum carding, free tutorial, rolags, tutorial. Bookmark the permalink.